Cervical degenerative disc disease is a ludicrous name for what amounts to a completely normal process which affects each one of us, as we get older. The term “degenerative” makes disc desiccation sound like a disease of the elderly. 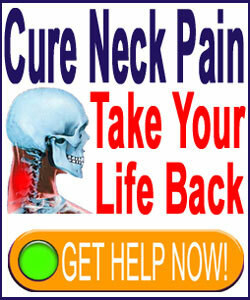 However, we begin to suffer marked degeneration of the spinal discs between the ages of 20 to 30, on average. Some people, such as myself, can be diagnosed with moderate DDD in their late teens. This article will detail why disc degeneration takes place in the cervical spine and what the diagnosis of DDD means to you. It is vital to understand the information contained in this article, since the likelihood of being identified as suffering from disc degeneration at some point in life is nearly 100%. Degenerative disc disease is normal. It is caused simply by living a typical life. There is no way to avoid suffering disc degeneration, although there are ways to minimize deterioration of the intervertebral structures, at least in theory. It should be clarified that DDD is not a disease by any means and is not inherently painful or problematic. Disc degeneration is simply a process by which the intervertebral structures lose moisture and their ability to retain moisture. That’s it. Being that discs are mostly made of water, this causes them to shrink in size and mass. 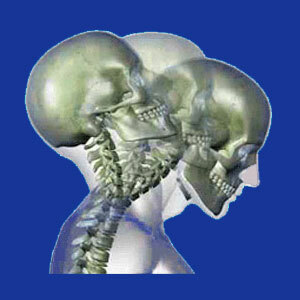 This decreases the space in between each vertebral bone. This evidence can be seen on any diagnostic imaging study, but can never be accurately diagnosed by physical exam. Disc desiccation is virtually always seen in the same areas in every adult spine. The middle to lower lumbar region is the most notable place to experience disc deterioration. The lumbosacral disc is the absolute most affected level of the backbone. However, the mid to low cervical discs are almost always affected, as well, with C5/C6, C6/C7 and the cervicothoracic disc being the worst hit by the aging processes. There is certainly a genetic component which helps determine when degeneration will begin and how bad it will occur. Smoking and excessive alcohol consumption have both been decisively proven to escalate the progression and severity of disc desiccation. Traumatic injury may hasten localized disc degeneration in many patients. Other atypical spinal irregularities, such as curvatures, spondylolisthesis or vertebral defects, can all increase localized or regionalized disc degeneration. Expect to have DDD. You probably have it now and may have had it for a very long time already. I was diagnosed at the age of 16. This came as a shock to me at the time, since I did not know the universal nature of the condition. Instead, my head was purposefully filled with myths about DDD, simply so that my first chiropractor could make lots of money from me. It was a literal crime. Disc desiccation is not painful. However, it can create the ideal circumstances for herniations to occur in affected intervertebral structures. DDD can also hasten the incidence of arthritic processes in the spine, and therefore, may contribute to osteophyte formation on the vertebral bodies, in the facet joints, in the spinal canal or in the neuroforaminal spaces.